What is Quality Score within AdWords? 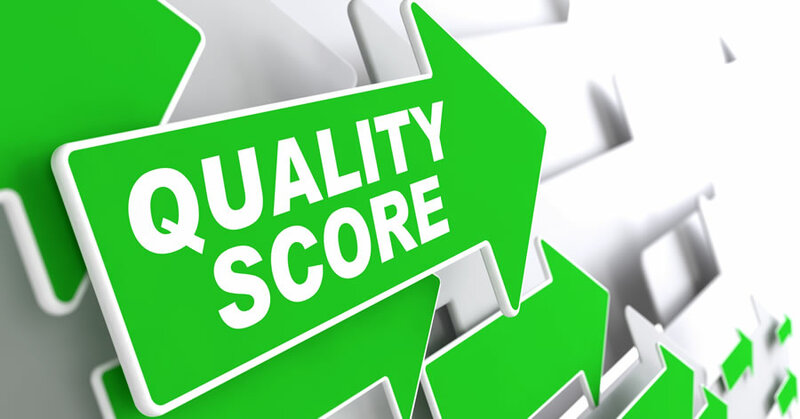 The Quality Score is the rating Google give regarding the quality & relevance of both your KeyWords & AdCopy. It is used to determine CPC (Cost Per Click) & is multiplied by your max bid to determine an ad rank within the auction process. It’s important to ensure that your ad is relevant to the keywords that you are associating with it, so that when someone searches using search terms you are bidding for, the content of your ad is relevant to what they were expecting to find. You need to make sure the ad title, text, displayed URL and keywords are as relevant as possible. The more relevant Google considers your ad to be the higher your quality score will be. So having a low quality score means Google doesn’t think your ad, keywords and destination URL will be very relevant to someone who is viewing your ad. Where do I find the Quality Score? In the KeyWords Tab, within an AdGroup, you’ll see a Status Column. If you hover over the “Speech Bubble” icon you will be given the Quality Score along with more info around if the KeyWord is displaying “right now”. So how is the quality score calculated? It can be calculated several times a day, depending on how often your ad is eligible for the ad auction. So every time someone does a search that triggers your ad, they calculate a quality score. But Google will only update your quality score once a day, for your reference. So how does all of this affect your ads? If your ad has a high quality score, it costs you less to enter a keyword in to the ad auction. Therefore having a higher quality score will lead to a lower CPC. Higher quality scores lead to lower top page bid estimates, meaning it more likely for your ad to show near the top of the page if your keyword has a high quality score. WebResults.ie offers a review of your existing AdWords account. Find out where your campaigns are leaking money and learn how to fix the “holes” to boost return on your PPC investment. Click here to contact the Experts Today! Tips To Make PPC A Success Why Outsource Google AdWords?